Phoenix Heli-flight will soon welcome two new AS350 B2's, an EC135 twin-engine aircraft and signs MOU for the first Canadian EC145 T2. "The AS350 B2's are a favorite of our clients and we needed to increase our capacity to satisfy the demand for this aircraft", sited Paul Spring, President and CEO of Phoenix Heli-Flight. The new B2's are a welcome addition to the current Phoenix fleet which includes; 2 EC120 B's, a EC130 B4, AS350 B2, AS350 B3, AS355 N and a AS355 NP. The AS350 B2 is an excellent utility helicopter that is able to carry an external load of more than one ton (2,200 lbs.). Thanks to its high useful load, it is well suited for completing utility missions quickly and efficiently. Renowned for its enhanced performance, excellent safety features and reduced operating costs; the single-engine AS350 B2, powered with a Turbomeca Arriel 1D1 engine, has a proven track record. "The main driver for the EC135 acquisition was the performance of the aircraft and the outstanding safety features. This helicopter is the reference machine for EMS operations". The aircraft will be a dedicated Emergency Response Helicopter, serving the North East Region of Alberta. The aircraft is backed by funding from the Alberta energy industry and we are extremely pleased by the show of support" announced Mr. Spring. The EC135 will be used for EMS, SAR and Environmental issue management. To support the various mission's, the aircraft will be equipped with dual pilot IFR, a rescue hoist and light-weight medical interior. The compact footprint of the EC135 coupled with the the high endurance and extended range enables this helicopter to perform a full range of mission requirements. The ability to carry more payload than any aircraft in its class, over longer distances, was a contributing factor in the selection of this particular helicopter. The reliable Turbomeca Arrius 2B2 turboshaft engine provides outstanding performance and vital reserves, even in one-engine inoperative scenarios, along with low fuel consumption. "The EC135 is known for its high performance and exceptional maneuverability. Its fast and quiet design has proven successful in its class. The aircraft will provide Phoenix Heli-flight with superior emergency response capabilities" said Guy Joannes, CEO Eurocopter Canada. "In recent years the twin engine turbine fleet has been growing in Canada and will be a valuable asset in assisting with Emergency Response missions. 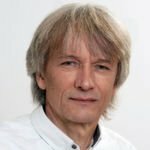 We value Phoenix Heli-Flight's commitment to Eurocopter products with the introduction of the new generation twin engine helicopters and the two new AS350 B2's." 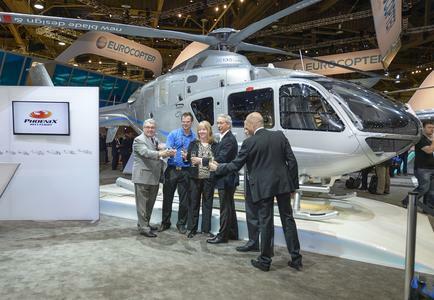 Phoenix Heli-Flight is the first Canadian Operator to sign an MOU for the new EC145 T2. The new platform will allow Phoenix to enhance its Emergency Response Helicopter Program and speaks directly to the Oil and Gas Production industry. The evolution of the EC145 with increased power and safety is the newest 4-ton class twin engine, multi-purpose helicopter in the EC145/BK117 family, which has seen more than 800 deliveries worldwide and has accumulated more than 3 million flight hours. The EC145 T2 is ideally suited to carry out missions such as EMS, Law Enforcement, SAR, Business Aviation, oil and gas and utility. The EC145 T2 comes with a 4-axis auto pilot, optimizing the capabilities of the aircraft for over-water day and night SAR missions. It has been acknowledged by its operators as a high end, user-friendly and extremely helpful system. The EC145 T2 is equipped with two powerful and modern Turbomeca Arriel 2E engines, each controlled by a dual channel Full Authority Digital Engine Control (FADEC), which, in combination with the aircraft's lifting system, provide outstanding All Engine Operative (AEO) performances. The new gear box of the EC145 T2 is an evolution of the proven solutions offered by the EC145/BK117 family of aircraft. Both the main gear box and aircraft components benefit from an increased time between scheduled maintenance overhauls, resulting in lower maintenance costs and the best solution to keep the aircraft in-service. Equipped with the Fenestron®, which significantly reduces sound levels, the EC145 T2 is the quietest helicopter in its class. The composite structure and aerodynamic geometry of this tail boom also contribute to optimized fuel consumption. Heli-Flight Inc. is a charter helicopter company operating from its main base in Fort McMurray, Alberta, Canada. Phoenix is a privately owned company and has been in operation for over 20 years. Phoenix Heli-Flight operates a fleet of seven Eurocopter manufactured aircraft, both single and twin turbine engine light helicopters. The company prides itself in offering newer and low time aircraft to their clients. Phoenix Heli-Flight services a wide variety of industries including; Exploration, wildlife surveys, utilities, oil and gas, forestry, construction, infrastructure maintenance, corporate transport, general transportation of personnel and freight and wildfire suppression. Phoenix provides Emergency Medical Services (EMS) to Ft. McMurray and surrounding area. Phoenix Heli-Flight is headquartered in a modern well-appointed facility. Phoenix's hangers/office is located at the Fort McMurray Airport with 40,000 square feet and houses all maintenance, aircraft storage, spare parts and training. Eurocopter Canada Limited (www.eurocopter.ca) is a subsidiary of Eurocopter. Eurocopter Canada based in Fort Erie, Ontario since 1984, has additional operations in Richmond, British Columbia and Montreal, Quebec and a support and customer service network that spans the entire country. Eurocopter Established in 1992, the Franco-German-Spanish Eurocopter Group is a division of EADS, a world leader in aerospace and defense-related services. The EADS Canada network has more than 1,700 employees. The Eurocopter Group employs approximately 22,000 people. 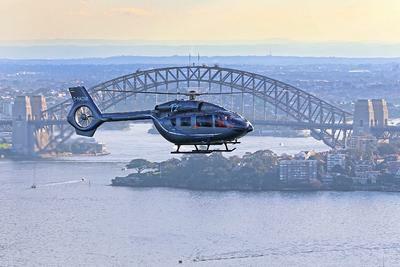 In 2012, Eurocopter confirmed its position as the world's No. 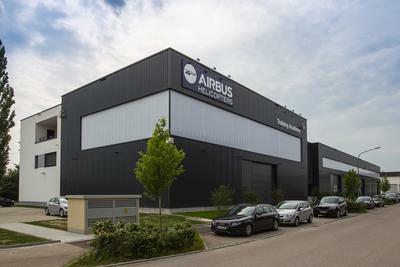 1 helicopter manufacturer with a turnover of 6.3 billion Euros, orders for 469 new helicopters and a 44 percent market share in the civil and parapublic sectors. 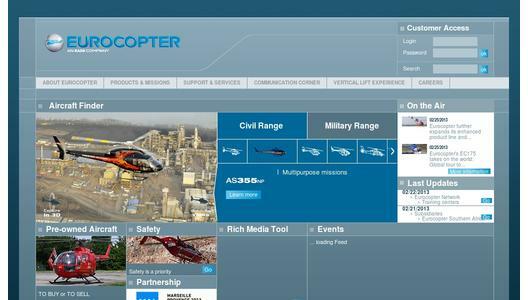 Overall, the Group's helicopters account for 33 percent of the worldwide civil and parapublic fleet. Eurocopter's strong international presence is ensured by its subsidiaries and participations in 21 countries. Eurocopter's worldwide network of service centers, training facilities, distributors and certified agents supports more than 2,900 customers. There are currently more than 11,780 Eurocopter helicopters in service in 148 countries. Eurocopter offers the most comprehensive civil and military helicopter range in the world and is fully committed to safety as the most important aspect of its business.